The Jain Society of North Texas is a self-contained Chaityalya with a library, meeting hall, kitchen, prayer and pathshala room. JSNT hosts a variety of activities including a Bhavana & Stavan satsang every first Saturday evening. 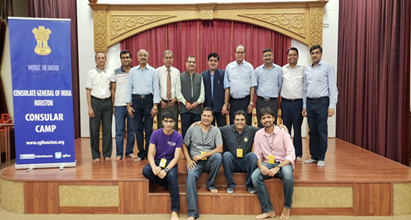 As another community at large support and participation by Jain Society of North Texas (JSNT), Dallas Forth Worth region hosted regional quarterly Visa camp and assisted the India consulate mission. Over 300 local community members took advantage of the services for Visa applications, and passport services. The group of JSNT volunteers participated and provided the assistance in this day-long event which was appreciated by the community. Jain Society of North Texas (JSNT) hosted Bhagwan Mahavir Nirvan Kalyanak celebration on Oct 15th 2017 in Dallas Texas. The event was celebrated with an excellent attendance of over 1000 attendees. The festivities began at 10:00 am in the morning with Pooja at Digambar Jin Mandir and Ashtaprakari Pooja at Swetamber Jinalaya. After the pooja, over 125 Pathshala Students enthusiastically performed skits, stavans and dances to present Jainism principles of Bhagwan Mahavir. Thanks to the JSNT members who generously participated in fundraising goals and JSNT exceeded the goals. Pictures of the performances can be viewed at www.dfwjains.org. JSNT recognized all the Tapasvis from Paryushan & Das Lakshana MahaParva during the Tapasvi Anumodna at the event. The celebration concluded with a delicious Diwali feast which was cooked by over 50 volunteers in the JSNT kitchen. The evening cultural program had more than 300 participants who presented 16 programs. Participants came from New Jersey, New York, Connecticut and Long Island. The program was attended by 1500+ people making it one of the highest attended Mahavir Janma Kalyanak program. This has all been made possible due to contribution and the community spirit of all the members and friends of JCA, who helped in making this a highly successful and memorable event. We had numerous volunteers who helped in making this event successful, including cooking delicious lunch in our kitchen and serving to everyone. The event was made truly memorable by the energy and excitement of the Pathshala students, volunteers and the attendees. The celebration was attended by over 1100 Jain community members. Mahavir Jayanti 2017 was a great success for the Jain Center of Minnesota! We held a great culture program in which both children and adults displayed their talents and interpretation of Jainism. We had acts ranging from drama skits to two Jain stavans played on the piano, violin, and even the trumpet! 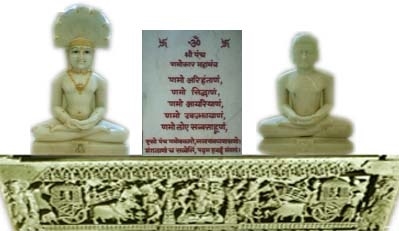 We also had our Youth Committee give a presentation on various important quotes Lord Mahavir said throughout his lifetime and how they apply them throughout their daily lives. Overall, Mahavir Jayanti2017 with the Jain Center of Minnesota turned out to be a great place to discuss our Jain religion while having fun at the same time!